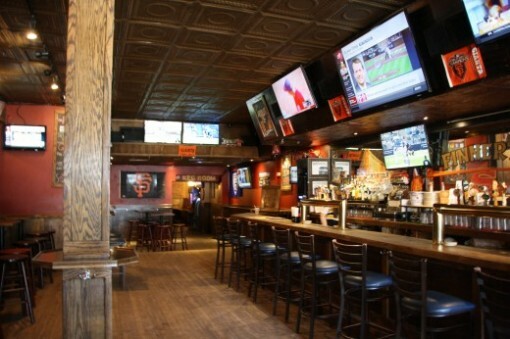 Is Finnerty’s the best bar to watch the Golden State Warriors in New York City? Are you a Golden State Warrior’s fan living in New York City and looking for a bar to watch your team with other Bay Area fans? A home to Bay Area and West Coast sports, Finnerty’s has been proud to have the World Series trophy visit not once, but TWO times in 2011 and 2013. No matter the time of year, you can expect to see San Francisco fans cheering on their favorite teams, whether it be the 49ers, Giants, Golden State Warriors, or San Jose Sharks. Finnerty’s is a casual bar, and like any bar that cater to a specific city, has related memorabilia decorating the walls. My only knock on Finnerty’s is that it’s a relatively small bar (so if there’s a big game like a big Giants game or Warriors playoff game) it gets uncomfortably packed for regular season games and it’s sardines for bigger games. The bartenders are nice and the drink prices are reasonable. Finnerty’s doesn’t serve food, so the establishment allows you to bring hella food into the bar. Whether it’s the best place to watch the Warriors in NYC depends on what kind of atmosphere you’re looking for. Finnerty’s is very much standing room only come game days and can be pretty crowded and raucous. Another option to watch the Warriors is in the same neighborhood. The Grayson, on 1st Avenue (near 2nd street) also in the East Village attracts the same 20-30 year olds that hang out in the East Village, but because the setting is more of a sports restaurant, so the feeling there is decidedly less raucous. Don’t get me wrong, The Grayson’s D.J. will blast music during the commercials and fans can get loud, it is a sports bar/restaurant after all. It just isn’t as “pubby” or “college bar” as Finnerty’s can feel like.